Water contaminants from fracking include a range of toxic chemicals, methane, benzene, and radiation. The entire fracking process that corporations use to extract oil and natural gas from underground rock formations pollutes our drinking water. These companies drill wells and inject tons of fracking fluid with extreme pressure deep underground to fracture the rock and release the gas or oil. The dangers of fracking are now evident. Studies have shown that fracking makes people sick and the chemicals used in fracking are toxic. They have also determined that fracking produces wastewater with high levels of methane, benzene and radiation. According to Source Watch, a 2011 report by the House Committee on Energy and Commission, the most commonly used chemical in the fracking process is methanol, a hazardous air and water pollutant. Other widely used chemicals include ethylene glycol, 2-butoxyethanol, isopropyl alcohol, toluene, xylene, and ethylbenzene. However, these are just a few of the 300-plus compounds used in fracking, and our government considers over 60 of these known chemicals to be hazardous. Peer-reviewed studies in 2011 and 2013 found significant methane contamination of drinking water from fracking and gas-well drilling. Even though methane is not considered toxic in low doses, the drinking water samples analyzed in these studies had 6 to 17 times higher concentrations of methane than uncontaminated drinking water. Scientists have discovered that the process of fracking also injects microorganisms into the well, which starts a metabolic process of bacteria that produce more methane. The findings of a 2015 report on fracking in California revealed 700 times the standard approved amount of benzene in the waste fluids from fracking. The Environmental Working Group also released a report in 2015 also stated high levels of benezene was found in fracking wastewater. Studies conducted by the EPA, state regulators, and independent drillers have found high levels of radium and other radioactive substances in wastewater. Many have concluded that radioactive wastewater from fracking cannot be adequately diluted in our waterways. A 2013 Duke University study in Pennsylvania found “elevated levels of chloride and bromide, combined with strontium, radium, oxygen, and hydrogen isotopic compositions” in the Marcellus shale wastewaters. Radioactive brine is naturally occurring in shale rock and contaminates wastewater during fracking. Radium levels in samples collected at the facility were 200 times greater than samples taken upstream. 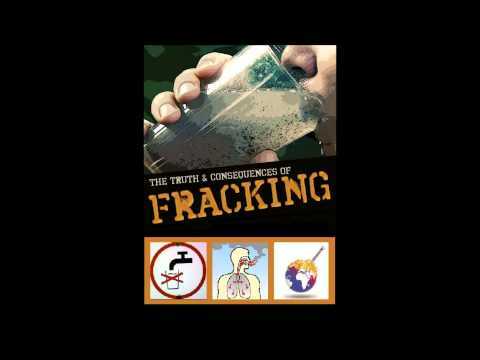 The water contaminants from fracking are a hazard to our health and environment. According to Food & Water Watch, regulations will never making fracking safe. The entire fracking process, from digging wells to waste management, is too complex and risky to be regulated. We know that the fracking process pollutes our drinking water and has many other side effects. The oil and gas industry profits at the expense of individuals and communities. We must simply say no to fracking and commit to utilizing clean, renewable energy. "Methane contamination of drinking water accompanying gas-well drilling and hydraulic fracturing," PNAS: 2011. "Increased stray gas abundance in a subset of drinking water wells near Marcellus shale gas extraction," PNAS; 2013. Dangerous levels of radioactivity found at fracking waste site in Pennsylvania; TheGuardian.com; 2013.